Quick weight loss tips are much sought after by folks eager to lose some weight in the shortest time possible. You could be a bride preparing for your wedding and needed to slim down to fit into your gown nicely, or in your mid-40s and want to lose that beer belly. Whatever the reason may be, it is not wrong to desire to lose weight quickly. But the key is to do so healthily. This article is packed with 10 goodie tips that would put you on the right track to losing those extra unwanted pounds on your body and regaining the dream body you always loved to have. Losing weight means you have to eat lesser calories than what your body needs. This translates to consuming lesser calories than your daily energy requirement. Follow the Basal Metabollic Rate (BMR) formula which you will find on my blog to calculate your BMR. This tells you how much calories you need to intake in order to maintain your body weight. You will need to step down your daily calorie intake by about 500 calories in order to lose one pound in one week’s time. Before you start wondering if you are reading correctly, let me assure you that your eyes are not playing tricks on you. It is a myth that skipping meals would help you to lose weight quickly and effectively. Your body would slow down its metabolism when you skip meals, in a bid to conserve energy, hence burning away lesser calories. You end up hungry and yet not achieving the desired weight loss. Spread your meals from 3 big meals, breakfast, lunch and dinner into 5-6 smaller meals comprising the 3 main light meals and 2-3 other snacking time. This would distribute your calorie intake and reach a good balance. Stock up your fridge with lots of leafy green vegetables and fruits. Vegetables and fruits are rich sources of fiber and water and add weight and volume to our food. This makes our stomachs full while maintaining a lower calorie count since fruits and vegetables are inherently low in calories and fat content. They also pack our bodies with healthy nutrients making our diet a balanced one. Some folks hate this quick weight loss tip and are immediately turned off. Sad to say, in order to maintain a healthy weight, exercise is necessary. Dieting and making adjustments to your eating habits would only win you half the game. Regular exercising is the missing part of the quick weight loss puzzle. You may be wondering how much is enough? Physical trainers or even your doctors would advise you to go for moderate exercise sessions of 30 minutes each time. Repeat the routine for a minimum of 3 times a week for effective weight loss. You would be surprised how fast you start to lose inches off your waist and hips once you begin your exercise regime. These quick weight loss tips are useful to you only when you apply them after reading. Many people fail in doing so because of poor motivation and lack of moral support from their family and closed friends. Share with them about your weight loss plan and encourage them to remind you from time to time about your goal to lose weight quickly. This would spur you on to be focused. Read up my blog if you desire to find out more about natural and healthy ways to lose up to 28 pounds within 3 short weeks. Computer is Running Slow? Recycle Computers and Be Green! http://www.DigitalSupport.com When you recycle computers, harmful toxins and chemicals are released and seep into the earth. If your computer is running slow, Digital Support has the solution for you. Keep your computer on your desk and out of the landfill! Our System Renewal process cleans out your PC and keeps it running FAST! Call 866-981-0519 before you recycle computers. 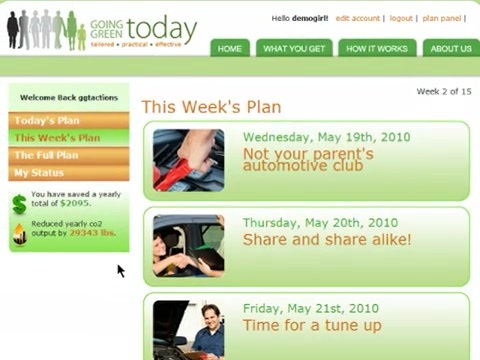 www.goinggreentoday.com teaches you which green solutions are best for your healthy home and green lifestyle, by making your green actions count. Visit our site,take our green test and we'll use your answers to design a custom green makeover plan. YERT visits Hull, Massachusetts, to learn more about their wind-energy program, not to mention the papa, mama, and baby-sized windmills in the area. A big thanks to Andrew Stern for the guided tour! Turning 4 pack abs into 6 pack abs can be difficult and frustrating. Especially when you’re not sure how to do it. So, what I’m going to do is share with you some tips on turning 4 pack abs into 6 pack abs. That way, you will be able to have some washboard abs that people will notice. 1. Ab workouts. The first way to get 6 pack abs is to train them. There are some exercises that will help you get them faster. Some of the exercises that you can do to get abs include leg lifts, knee raises, full crunches, cable crunches, and incline situps. Doing these exercises will help work your upper and lower abs, which will help you get a 6 pack. 2. Eating healthy and frequently. Another tip on turning 4 pack abs into 6 pack abs is to eat healthy and frequently. Eating certain foods will help you burn belly fat, which will help you get a 6 pack. Some foods to eat are lean meats and fish, nuts, red apples, dark green veggies, whole wheat breads, yogurt, and cottage. Also, make sure you drink at least 8 cups of water and one cup of green tea every day. 3. Cardio exercises. Doing cardio exercises will also help you burn fat off your belly. This will help turn your 4 pack into a 6 pack. Some cardio exercises you should do include participating in a fitness class, jogging, swimming, and riding your bike. These are some tips on turning 4 pack abs into 6 pack abs. If you are serious about getting a 6 pack, be sure to use the tips above. Also, make sure you stay consistent with your efforts. It’ll pay off big time. Especially when people start to take notice of your abs. Do you live to eat, or do you eat to live? Too many calories will make you overweight…and shorten your life. Retain more calories than you burn off each day and you will gain weight. Burn off more calories than you take in each day and you will lose weight. That sounds short and sweet, doesn’t it? But what you eat and how much you exercise and sleep, have a major impact, not just on your weight, but most importantly, on your health! As I approach what to share with you in this article, I want you to know that recently I’ve completed reading two of the best books on nutrition that I’ve ever seen. The China Study, by T. Colin Campbell, Ph.D. and Eat To Live by Joel Fuhrman, M.D. Both reveal simple, but astonishing facts that your doctor probably has not shared with you and probably isn’t even aware of. The facts could show you how to achieve vast improvements in your health and weight. Not hard things to do, but it does take knowledge and willingness to make changes. The China Study gives findings from the most comprehensive large study ever undertaken, about the relationship between diet and the risk of developing disease. Eat To Live describes a revolutionary and safe formula for fast and sustained weight loss. The China Study provided researchers the rare opportunity to study the dietary effect of a mostly plant-based diet. There are major nutritional differences in the Chinese and American diets. Here’s a comparison of the nutrients consumed in China and the United States. As you can see, there are huge differences between the Chinese and American diets. The Chinese have a higher overall calorie intake, less fat, more fiber, less protein, much less animal foods, and much more iron. So, what different results do we see in the health of the Chinese and American peoples? Here are a few facts that may be surprising. In China the blood cholesterol level generally ranges from 90 to 170. In the USA, 170-290. As animal protein intake goes up, LDL (“bad”) cholesterol goes up. As plant protein intake goes up, LDL (“bad”) cholesterol goes down. Regarding cancer, here’s a quote from Dr. Campbell in The China Study, “nutrients from animal-based foods increased tumor development while nutrients from plant-based foods decreased tumor development.” Overall, cancer is less common in China than in the U.S. I have pointed out only a couple instances in this article concerning the relationship of diet to health. Its definitely worth noting that both “bad” cholesterol and cancer rates are more common in the U.S. than in China. As the China study progressed it became quite clear that people who consumed diets high in animal protein had more heart disease, cancer, and other diseases than those who consumed diets high in plant protein. So, you may ask, “What does all this have to do with losing weight?” I’m sure you’ve heard of the “food pyramid.” Dr. Fuhrman, in his book, Eat To Live, recommends a different food pyramid. In it at the top of the pyramid, where the foods are listed that you should “rarely” consume are beef, sweets, cheese, milk, processed food and hydrogenated oil. Poultry, eggs, and oils are allowed only once weekly or less. Fish and fat-free dairy foods can be eaten twice weekly or less. Whole grains, raw nuts and seeds should be 5-20% of calories. Fruits, 20-50% of calories. Beans/legumes should be 10-30% of calories. Vegetables, eaten half raw, half cooked should be 30-70% of calories. The food pyramid described above is part of Dr. Fuhrman’s plan for substantial weight reduction. The reader might note that it certainly has a similarity to what Dr. Campbell discovered while doing The China study as being best for health, too! 1. Remember, the salad is the main dish: eat it first at lunch and dinner. 2. Eat as much fruit as you want, but at least four fresh fruits daily. 3. Variety is the spice of life, particularly when it comes to greens. You can include the following: lettuce (including Romaine, bib, Boston, red leaf, green ice, celery, spinach, cucumbers, tomatoes, mushrooms, broccoli, cauliflower, celery, peppers, onions, radishes, carrots, beets, cabbage, all kinds of sprouts, etc. 4. Beware of the starchy vegetable. Limit cooked high-starched grains and vegetables to one cup a day. For the most part, consider vegetables that are not green to be a high-starch vegetable. Exceptions would be eggplant, peppers, onions and mushrooms. 5. Eat beans or legumes everyday. 6. Eliminate animal and dairy products. 7. Have a tablespoon of ground flaxseed everyday. 8. Consume nuts and seeds in limited amounts, not more than one ounce per day. So far we have touched only on what you should and should not eat to be healthy and to achieve or maintain your optimum weight. It is extremely important to your health and optimum weight to get regular exercise, adequate sleep and you might want to consider including a good multi-vitamin mineral supplement, too. Depending on your interests and physical ability there are many ways to exercise your way to better health. To list a few: walking, swimming, bicycling, jogging, running, playing sports, weight training. Choose one or more ways to get exercise that will be aerobic , build strength and burn calories. This will not only help your metabolism, but will actually help you gain energy and lose weight. Last, but certainly not least, is the importance of getting enough rest and sleep. No matter how healthy a diet you are on, and how much exercise you get, if you are not getting adequate sleep, it will be harmful to your health. An environmentally-sound home is one that makes less of an impact on the environment. This example of home can incorporate things like energy-efficient appliances or low-e windows to make your home more efficient or maybe even adding more extreme items like solar power or a water recycling system. If you are implementing these modifications now, the neat thing is that many of the technologies cost less now than in the past. If your home is pre-construction, you can choose to have the home designed to take maximum advantage of the natural illumination of the home. Making a home more efficient or buying an eco-friendly home will not only save you money on things like energy bills, but is also the environmentally responsible choice to make. Solar derived energy is a somewhat new idea. Nonetheless, as a modern-day homeowner you can take advantage of the technology that is available and get the power that you need for your home. The way that solar energy is employed is that solar panels are situated in a place where they can get ample sunlight. These large panels are made of glass and have tubes with water coursing through them. As the sun warms the water in the tubes, it is transformed into energy that you can use for your home. An additional benefit is that the hot water can then be used instead of a hot water unit. Most homeowners position the panels up on the portion of the roof that gets the maximum amount of sunlight. That means that shade from trees needs to be minimized anywhere the panels are installed. Every system is different, but it is possible to derived energy an entire home using solar panels. Water is a limited resource, so we all need to do our part to use less water. One way of making your water usage more eco-friendly is to have holding tanks where you can store water and then send it through a filtration system where it can then furnish the water needs of your home. This water recycling method is a great way to take care of your yard’s water requirements. Recycling water can save about eighty percent of the overall water used in many homes. Another easy way to reduce the quantity of water that you are using is to put in a low-flow showerhead. A low-flow showerhead is easy to install and will save hundreds of gallons of water every year. Also, if you have older toilets, upgrading to a modern toilet can also reduce your water usage for the future. When you start to think about the many ways that you can save water, you can perhaps come up with even more. Eco-friendly homes are the wave of the future. Finding ways to decrease each family’s use of electricity and water is important for all of us. You can make modifications to make your home more earth-friendly that will really make a difference. Recycling, utilizing solar power and monitoring your water use are all great ways to establish your home as a green home. 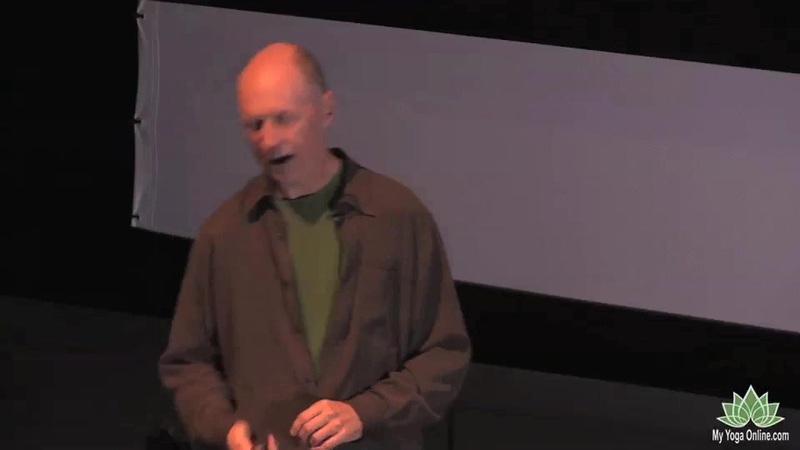 http://www.myyogaonline.com – In this 4th installment of Bernie Clark's talk on Please Mind The Planet, Bernie goes into depth, discussing the risks we are taking in our current environmental landscape.